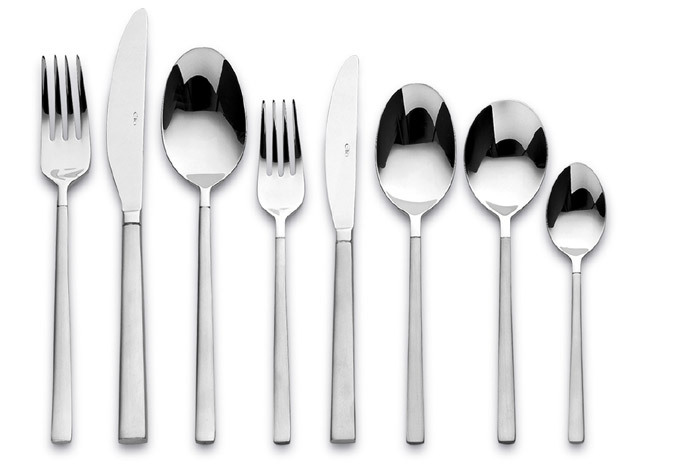 Elia Finesse Cutlery has a delicate design offering a simple contrast of subtle matt satin and gleaming shine, creating an elegant and timeless fusion. The handles flare gently outwards at the tip of each piece. Simple slimline characteristics for a modern aesthetic table-setting.